YOLO at the Swiss Freeski Champs Laax. Laurent De Martin and Andri Ragettli are the new Swiss Champions. Edit by Marc Vertesi, marcvertesi.com. Swiss Freeski Open 2013 in Les Crosets went down with a lot of sunshine and great action. Local hero Laurent de Martin showed the rest of Swizziland who is at home in the Superpark Crosets! Special thanks to Florent Beauverd of Crewstacez and Jules Guarneri of Awone Films who were there to bring the action into a next level edit. Here's the last edition of Swiss Freeski Team in Keystone 2012/13. We had a blast, thank you for watching! Epic fight for the Swiss Freeski Slopestyle Championships in Les Crosets / Champéry. Jonas Hunziker, Eveline Bhend and Fabian Bösch (Rookies) won the crown 2012. But the battle will be continued next year... Filmed and edited by Fabian Weber. 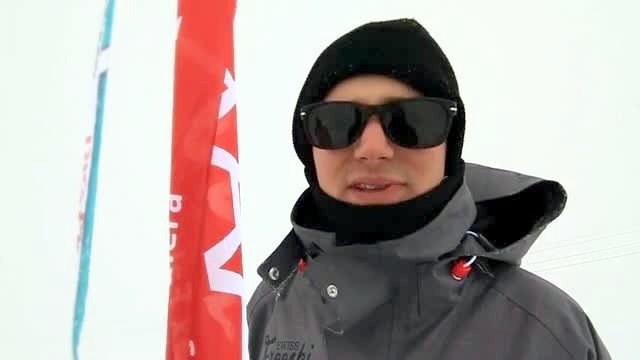 Swiss Freeski Team - Goodbye Keystone! Laurent de martin shows us some of his rail skills on the keystone terrain park on a grey saturday.